A Cuppa and A Catchup, I just love Nova’s style, her use of linen and hand stitching is just so beautiful. A bit zakka, some might say. I love Cole’s Corner and Creations. I wish I had her skills! I’d love the built by wendy one if I win! I’m a big fan of Made by Rae. Her fabric choices are just beautiful. I don’t see anything to improve right now. Categories are easy to see and I like the buttons at the top to connect on social media. my favorite blog is sunday suppers because of their gorgeous food pictures and amazing recipes. My favorite blog is http://craftzine.com/. I like to do a little bit of everything, and that’s exactly what they have. Thanks for the giveaway! I love Red Pepper quilts. Love everything she makes. I think you blog is very easy to navigate and I love that! Crisp, clean appearance! Great patterns! I love Craft Gossip as it gives me the ream of the crop on all the best tutes! One of my favourite blogs is Vanessa Caban at doyoumindifiknit.typepad.com not just knitting!! and Vanessa is a very talented illustrator! I like the way your blog looks, very easy to read and navigate so I’d say if it ain’t broke, don’t fix it!! I love the Sew4Home blog. There has been so many great projects I want to try. I love the way your blog looks. The only thing might be to make the center part wider so your great pictures can be bigger. I’d love to win the Emma pattern. My daughter would love a dress like that. love the Wendy top pattern! I love adventuresindressmaking. She posts awesome tutorials and always makes cute stuff! Oh, I love that Wendy top! I read a lot of crafty blogs but I think I’d have to say the dog-focused “Two Pitties in the City” is one of my favorites. They’re local to me so I get the added bonus of learning all about doggy activities in my area. Lots of tutorials and guidelines.. I absolutely LOVE Sew Retro (http://wesewretro.com/) and The Sew Weekly (sewweekly.com) as they’re both great sources of inspiration! I love The Crafter’s Apprentice, she has such a unique sense of humour and great posts! don’t really have a favorite blog right now. SMS definetly by far and I like Noodlehead’s blog and Cluck Cluck Sew are ones I check daily. I love so many blogs, but one I keep returning to is Wishes, True and Kind…I just really like her aesthetic. Merry Christmas! I really love Sally Shim’s blogs (shim & son and sally j. shim). She has a totally gorgeous and clean aesthetic. As far as improvements…nothing makes a blog like lots of tutorials with great pictures! If I win I would like the Emma pattern. I love Red Pepper Quilts for quilting and Gertie’s Blog for Better Sewing for garments. I love the blog at peppauf.de because they always show nice ideas from lots of different other blogs. i love smitten kitchen and how sweet it is. They both like the same foods as me! Emma #1 and Built by Wendy #2 – hard choice! I love the Built by Wendy pattern! Thanks! Built by Wendy? Yes please! I love oldredbarn. blogspot. com. It is fun and it taught me how to quilt…so always a special place in my heart! I love karencheng.com.au. She’s inspiring and funny! I didn’t even know about those Wendy patterns by Simplicity. How awesome! To improve your blog I would perhaps have a page of Tutorials cos I always go to that page on every blog I find. It’s either that or Recipes, lol. I love Oh Frannson. I am quilter and I adore Elizabeth. I would prefer the Built by Wendy top pattern. Thank you. I get excited every time Craftiness is not Optional’s new posts show up in my reader, because often that means a great new tutorial! Thanks for the chance to win! I have several blogs that are my favorites but among them are Fluffy Sheep Quilting and kiss kiss Quilt both are great blogs. I have quite a few favourites but Cinderberry Stitches and Sarah Jane Studios are my current favourites as I have a 16 month old daughter and they are full of girly child friendly inspirations. Maybe you could put a short version of your profile info and a picture in one of the side columns on your blog home page. It can be helpful for new people visiting to start getting to know you. - http://www.redpepperquilts.com/ because i love the colours and fabric choices, and all of the projects are something I would make. I am head over heels for the Built by Wendy patterns. I already have one, but would love them all! One of my favorite is the Sewing Dork and it it wasn’t for her I would have missed this giveaway and the chance to play as well. I love the Coletterie from Colette Patterns! If I win I’d love to have the Built By Wendy top or the Modkid pattern! Thanks for the chance to win! I really like my own blog. Is that cheating? LOL… for no other reason that it’s where I diarise anything that is important to me. Did you know that “built by Wendy” has a group of really wonderful sewing books, I got them out of my neighborhood library, they are fantastic!!!!! I love Beneath my heart.blogspot and nobigdill.blog.spot. they are not quilt blogs (one is DIY and one more family photo and childrens clothing sewing). Your font is a tad small and for someone with eye problems it’s a bit of an issue. I love reading Anna Maria Horner’s blog. It is a lovely mix of work, crafting and family. One of my favorite blogs is Wild Olive-she has the cutest embroidery patterns and often has free patterns and tutorials for both embroidery and for stuff to embroider like mug rugs. And she’s funny and nice. P.S. I only have a little boy, so if you draw me for the little girl patterns, you can draw again for someone else that they’d be more useful to! I love Lilblueboo. I always have, but lately, it has become so inspirational through Ashley’s struggles with cancer. ps I’ve been looking for that Built By Wendy top/tunic also. My favorite blog is Hopeful Threads. She has new charity sewing project each month. It is so much fun to sew along! I love that Modkids pattern! So cute. My fav website is The Sew Weekly. I got so much inspirations from their posts. I love the prize #1 Built by Wendy patterns. I like how she designs her patterns, easy to wear and easy to sew..
As for improvement, hmmm.it looks very clean and organized…maybe you could add an category “tutorials”. I’d personally love to dive into tutorials first when I browse a new blog. 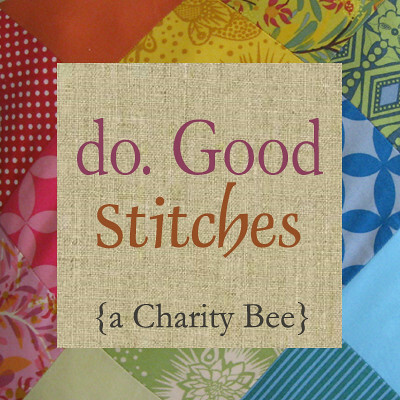 So many great blogs out there but one of my faves is a fashionable stitch. Thanks for the giveaway! I would choose the top for me, as my new year’s resolution is to do some sewing for me! One of my favorite blogs is Stray stitches. One of my favorite blogs is Ruffles and Stuff. Great inspiration, and very real. I would love the Mod kid pattern if I win! Favorite blog is Angry Chicken. I’ve got great-nieces who need their auntie to sew for them. My favorite blog is Sew Mama Sew! Of Course!! I have learned SO MUCH from there!! 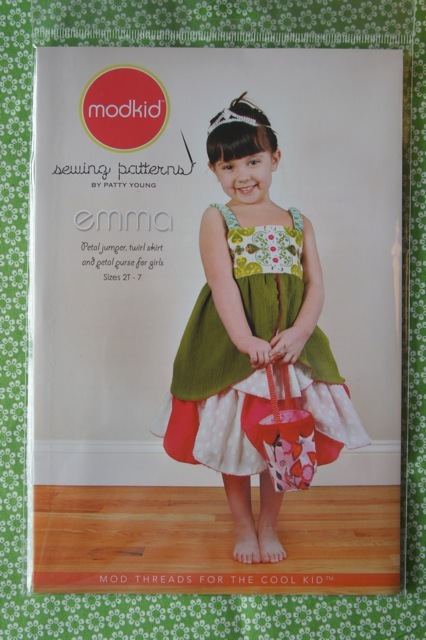 I love the modkid pattern… emma. I’ve never seen it before but my 2 year old granddaughter would adore that dress! I would have several years to make many different variations for her! I’m a new follower of yours so I don’t know how you can improve yet but one piece of advice I can give in general is make sure you keep your page updated. I hate getting excited about something then finding a broken link. 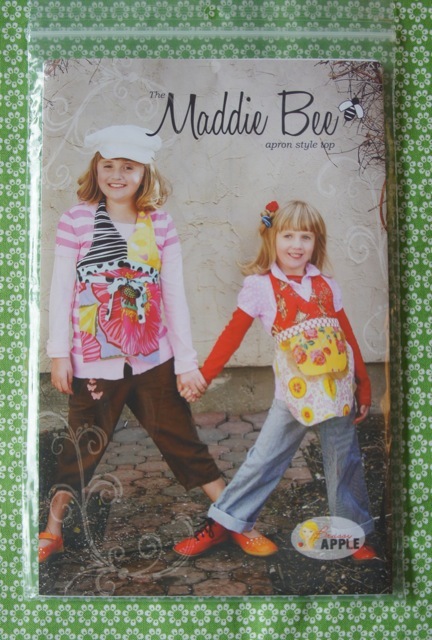 Oh yeah if I win, I would love the modkid pattern!! My favorite site is Swapbot.com. I learned about it a few months ago– totally fun! http://www.kellehampton.com she is so sweet and inspiring. My favorite blog is sew many ways, she has lots of great tutorials for making things from home improvement store items. Thanks for the giveaway! I love the Tippy Top pattern! I like your blog just the way it is! I would love the Emma dress pattern. My daughters would flip for momma to make them that dress. I like your blog just fine the way it is. My favorite blog is Sew, Mama, Sew. It has loads of tutorials and I’ve learned to sew just by following them. I love http://thehandmadedress.blogspot.com/. It is a real pleasure to read and is always uplifting…not to mention has great ideas. I love that your blog does not have any sponsor / ad clutter, but would add some color to brighten it up maybe just in the header? The Pioneer Woman, love the recipes she posts! Thanks for the chance to win! AdventureInDressMaking is one of my favourite blog. Great ideas all the time. Maybe you try to include a links to projects you have completed in a thumbnails icons. Even though it’s different from what I normally choose (shiny happy blogs with tutorials and fun projects), I think my favorite is My Cozy Little Whimsy Nook by Marmeecraft. She creates this magical world for herself and it’s just peaceful to see what she’s up to! (Other than that – Grosgrainfabulous, especially when she’s not pregnant and has more time to do stuff!) (These are also the only two blogs I keep in my feed reader even though they don’t include the full posts in the feed. You have to be super-fabulous to get me to keep you that way!) A close third: IkatBag by LiEr, as she’s got great projects and pictures. I like the look of your blog now, its simple and easily navigated. Maybe your pictures could be a little bigger, but really that’s all I can think of. I love Made by Rae. 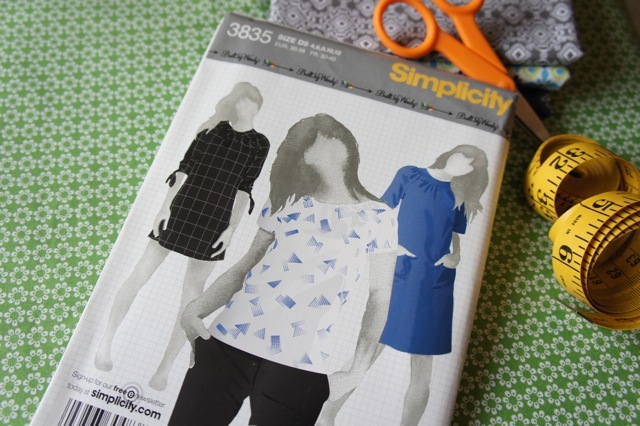 I would love that Simplicity pattern–should have got it when it came out and have been kicking myself since! 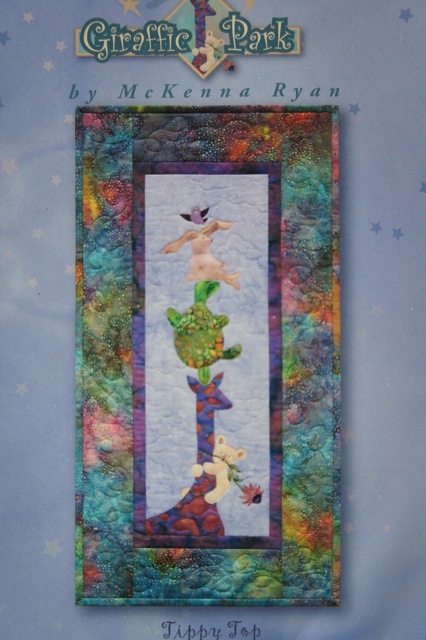 One of my favorite blogs is Lily’s Quilts. 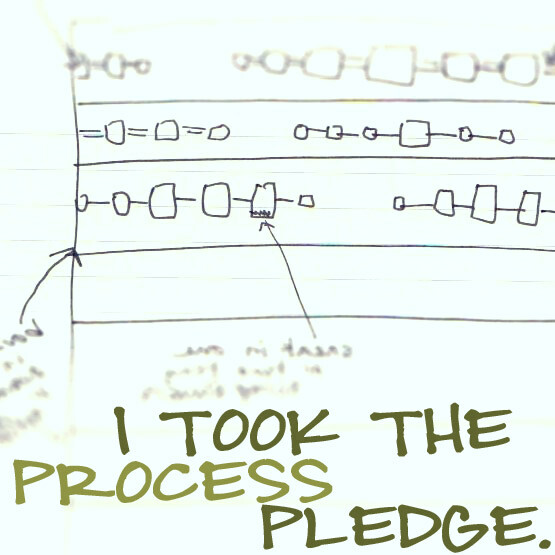 I like MADE because her projects are doable and her writing is enjoyable to read. I like Prudent Baby. That’s the site that got me started on this sewing kick. Thanks for the giveaway! My favorite blog is the pioneer woman. not for sewing stuff, but for entertainment, photographer tips and cooking goodies. that lady is hilarious. thanks for the giveaway! and i choose the wendy top! THe things that make blogs interesting to me is: conversational tone (help me get to know you! ), good, naturally lit photography, and tons of tutorials! Thanks again! I choose the Wendy top! I always enjoy http://tollipop.typepad.com/tollipop/ . Always! I love Schwin & Schwin for kids tutorials and The Sewing Dork for her fun, frugal sewing. Thank you!